Incorporating the 3-point shot is a huge part of Coach Donovan's offense and has been the difference between major victories and disappointing losses. Not only is the 3-point shot an offensive difference maker, but defending the 3-point line is just as important. Donovan believes in the importance of shot selection and that great shots are the byproduct of making a commitment to transition and dribble penetration. Shooting confidence is fostered by the player-coach relationship and is built into the offense. Donovan shares nuggets on charting shots in practice, the art of pinpoint passing, and shot distribution. 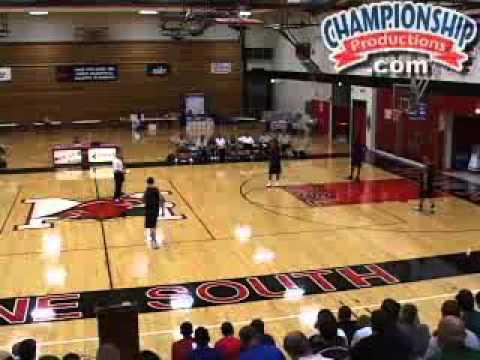 Donovan demonstrates his 3-point shooting attack in four comprehensive shooting drills. Learn how to defend the 3-point shot by contesting shots, through his "no help rule," using stunts and trapping with rotation. You will increase your point production and limit your opponent's opportunities with Donovan's concepts.